Gentrification is an issue at the forefront of our public discourse, from being the subject of steady research to the focus of a recent speech from Spike Lee. What&apos;s clear is that after half a century of suburbanization, middle and upper-middle class young adults are returning to inner city neighborhoods at breakneck speeds. 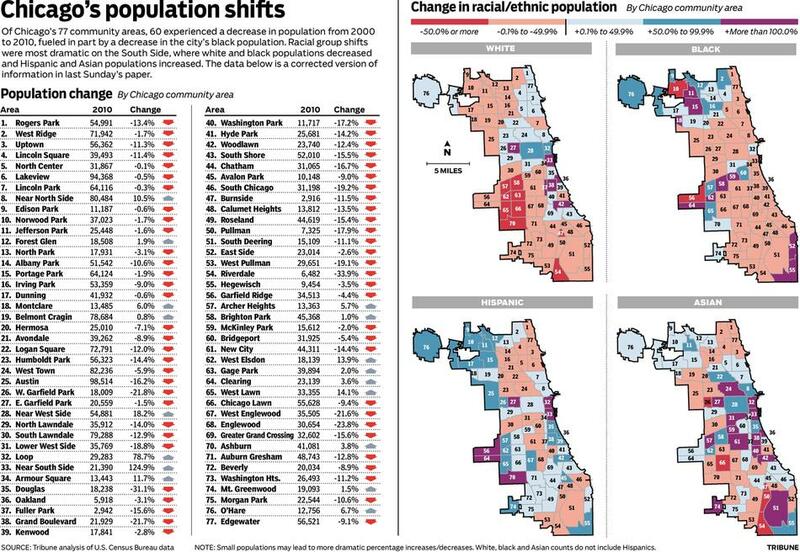 And while such demographic changes have certainly revitalized many impoverished communities, such change can make neighborhoods unaffordable for the residents who have lived there for decades, sometimes leading to glaring income inequality and social strife. The most recent data is from a study out of the Federal Reserve that ranks America&apos;s largest 55 cities according to how fast they are gentrifying. This is measured by the proportion of a city&apos;s low-income census tracts that went from having below-median home values to above-median home values between 2000 and 2007. The educational Mecca of the United States was the fastest gentrifying city in the early years of this century. A jaw-dropping 61% of low-income census tracts experienced gentrification in Boston. 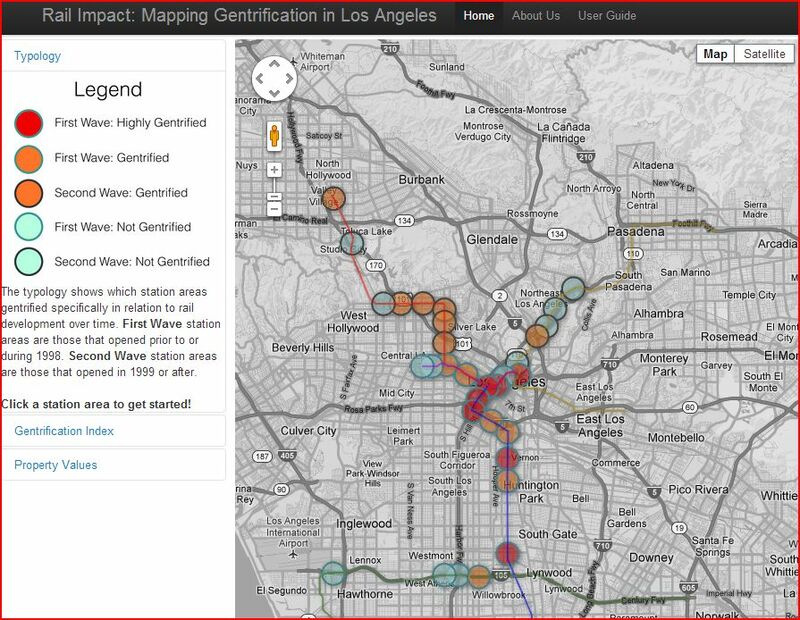 The map above, from 2013, shows how this has manifested in certain neighborhoods. The grunge/cafe scene of 1990s Seattle made it the Pacific Northwest capital of cool. The constant rain hasn&apos;t stopped plenty of people from continuing to flock to Seattle in the 21st century, making it the second fastest gentrifying city in the country. Always ahead of the curve, NYC started to gentrify way back in the 1970s when artists moved into SoHo and Tribeca. Today, it seems every square inch of Manhattan, and huge areas of Brooklyn as well, have been hit with gentrification. The map above shows the change in rental prices for neighborhoods in Brooklyn. The red areas show increases in prices — notice how they&apos;re clustered around Williamsburg and Greenpoint, a.k.a. hipster central. The techies are coming! The dot-com bubble of the late &apos;90s was a precursor for the more widespread gentrification that San Francisco is experiencing today as a result of many tech companies either moving to San Francisco or providing free shuttles to and from Silicon Valley. 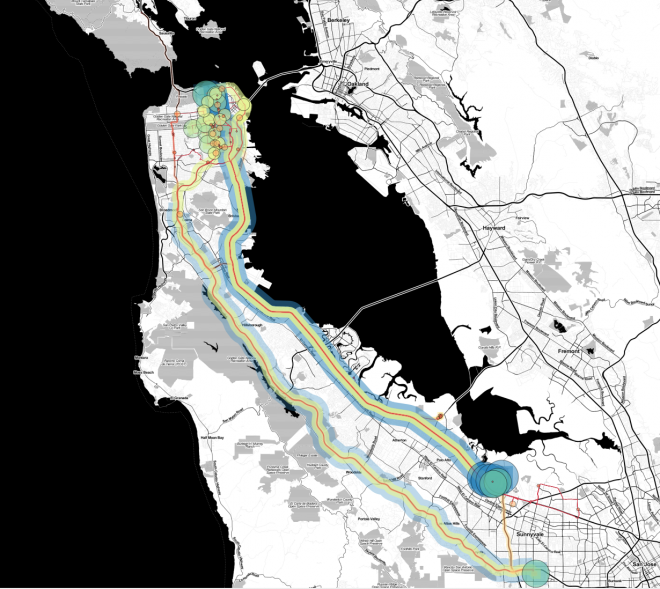 The map above shows the routes of private commuter buses provided by the likes of Apple and Google which allow employees to parachute into work and return home — altering the social landscape of the Bay Area. Affluent government employees have preferred the western suburbs for the last few decades. But recently, middle and upper-middle class residents have been moving into eastern city neighborhoods. The map above shows this shift, along with a larger trend: the departure of blacks from Washington D.C.
Is Atlanta really "the South"? Well, it&apos;s the closest thing to it on this list. In a city infamous for its suburban sprawl, more and more people are choosing a more urban lifestyle. The map above shows the Beltline project, a "revitalization effort" to some and "gentrification project for white people" to others" that would constitute a network of parks and transit. It would run through communities like the Old Fourth Ward and Reynoldstown, which are traditionally working class and African American, and arguably increase the pace of gentrification already underway in those neighborhoods. It&apos;s one of the many ways development projects can be seen differently in the same city. The biggest city in the Midwest is also the one gentrifying the fastest. Western neighborhoods like Wicker Park and Bucktown followed northern neighborhoods along the path of gentrification in the past decade. Now, the march of gentrification is continuing south to Pilsen, Bridgeport and Bronzeville. Did you know that the city depicted in Portlandia is actually based on a real city? 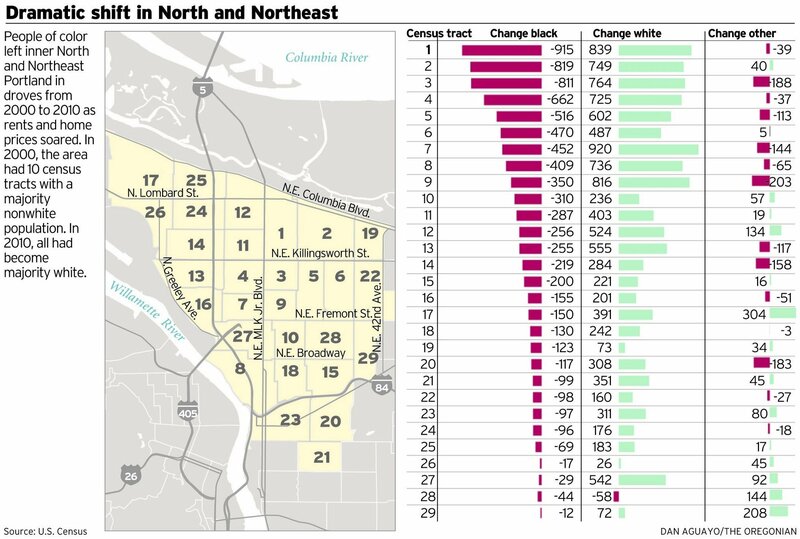 Yes, the hipster haven of Portland is gentrifying along with the best of them, especially in the northeast side of the city. Who knew? Neighborhoods like Tampa Heights and Seminole Heights have been sites of gentrification in the city. 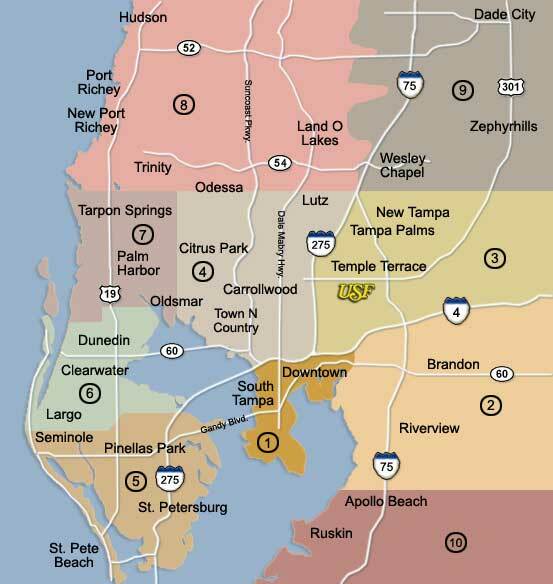 The map above shows governmental support for revitalization in Tampa. From the Hollywood Hills to Compton, L.A. has plenty of wealth and poverty. For the ground zero of gentrification here, see the Silver Lake neighborhood. L.A. isn&apos;t known for its public transit but the city has been working hard to change that. The map above shows what happens when assets like transit are built in a city and how it affects hyperlocal demographics. Gentrification is happening out in the Rockies too. The mountain region&apos;s biggest city has hip neighborhoods popping up all over the place. The map above shows where the wealth is, or isn&apos;t, concentrated in the city. The darker the green the higher the concentration of low income households in the area. According to the study, over 23% of Virginia Beach&apos;s low-price census tracts have gentrified. Though one has to wonder if the revitalization of this barely-urban area is of a different nature than the other cities on this list. It may be an outlier. The City of (frozen) Lakes has seen its fair share of gentrification too. Now that Uptown Minneapolis is fully gentrified, there&apos;s a lot of activity happening in the northeast side of town. The map above shows the disputed Lake Street corridor project which cuts east-west across the city. It, like other development projects, is often a mixed-blessing to some residents because of the change it sparks in property values and demographics. Apparently Hurricane Katrina somehow didn&apos;t stop plenty of neighborhoods from seeing rising home values. The map above shows gentrification hotspots in the city. Many states have a certain city that seems to defy the stereotypes of that state. The liberal capital city of Texas is that sort of city. Home to UT-Austin and the SXSW music festival, Austin is definitely up-and-coming. The map above shows areas where condo developments are skyrocketing in the city, highlighted in Austin East. The demographics of many of America&apos;s cities are fast changing, as issues race, class and culture collide.